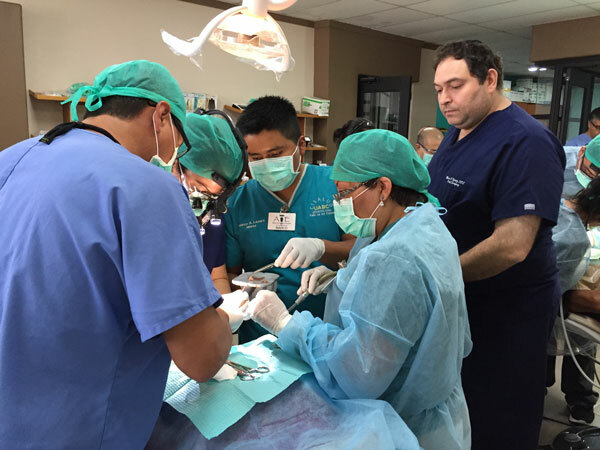 By performing procedures in a small group setting under the supervision of our qualified faculty, you will plan and perform treatment on pre-screened patients (rather than on plastic models or on pig jaws) according to your experience and level of training. Patients are pre-selected with various levels of surgical complexity and matches to your clinical skills. Regardless of your skill level, our courses will expand your comfort zone, enabling you to incorporate new and valuable techniques into your practice. We offer courses that emphasizes real world execution of implant placement, alveolar ridge expansion, crestal and lateral wall sinus graft augmentation.